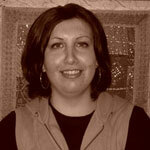 Vildana Muratovic is a graduate of University of Washington with a baccalaureate in History. Muratovic was born in Bosnia and Herzegovina but lived most of her life in Seattle, Washington. Muratovic is an active member in the Bosnian-American community in the Puget Sound area.